The recent conflict in Egypt has sparked outrage in the United States as our government stands by watching with great caution. Thirty-three million Egyptians took to the streets of Cairo in outrage against former Egyptian president Mohammed Morsi on July 3. In office from June 3, 2012 to July 3 of this year, Morsi succeeded Hosni Mubarak, the former Egyptian president who ruled for 30 years. The Egyptian military ousted president Morsi, and since has taken complete control of Egyptian order. Mubarak stepped down in 2011 due to an uprising against him. He was ordered to stand trial on charges of negligence for not giving orders to stop killing peaceful protestors during the revolution leaving more than 900 dead. Mubarak was incarcerated for a year. He was released Aug. 20, due to no further legal ground for detention. He is currently under house arrest. Corruption and abuse of power remain in Egypt, which helped spur the protests against both leaders, but what many Egyptians seem to want is economic stability and security in Egypt. With more than 60 percent of the Egyptian population under the age of 30 and college educated, the spur of a revolution began with Morsi as the target. 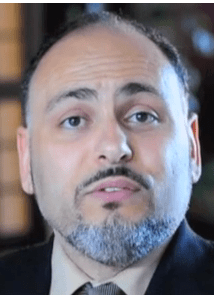 Professor Tamir Sukkary is an adjunct professor at Delta College teaching Middle East politics, amongst teaching American Government, International Relations, and Comparative Government at four surrounding classes. Sukkary’s areas of specialty include politics and international relations of the Middle East, democratization, & Egyptian politics. He speaks Arabic, has lived in Egypt and Saudi Arabia, and has several relatives and friends living in Egypt and throughout the Middle East. Mubarak-era remnants or loyalists were a thorn Morsi’s side from the beginning, said Sukkary. As tempers rose between Egyptians and the corrupt political “government”, tempers between organizations including the Egyptian military and Muslim Brotherhood built angst. Rivalry between the Egyptian military and the Muslim Brotherhood, which Morsi is directly linked to has existed since the first Egyptian Revolution in 1952. The Muslim Brotherhood plays an influential part in the events occurring in Egypt, originally forming as a political organization to instill the Quran and Sunnah and overthrowing British Imperialism and establish an Islamic state. The Muslim Brotherhood has turned into an extremist, and hostile group openly engaging in political violence and protests. After Morsi took office, he allowed much of the Muslim Brotherhood to take part in government, and take over state institutions. A bomb assault meant to hit Egyptian Prime Minister Hazem Al Beblawi rang in the streets of Cairo’s Nasr City area. Terrorism threats from Morsi supporters linger in the community, and fellow Egyptians have blamed Islamist terrorists for recent attacks in the region. An Islamist terrorist is a Muslim religion follower who believes violence such as, suicide bombings,hijackings, kidnapping and recruitment will achieve varying political ends in the name of Muslim religion. Many may view the Muslim Brotherhood as a militant Islamist group, while the Muslim Brotherhood points at the Egyptian military for destroying democracy and constraining the Egyptian people. Muslim Brotherhood followers in Egypt claim this week as “Coup is Terrorism” week. The killing of innocent people from both parties remains the main issue. Justice and democracy seem unfeasible at this point for Egypt. Many deem the uprising situation as Egypt’s second revolution. “It’s the second, third, fourth revolutions that are going to take place, it is going to take an ongoing revolution,” said Sukkary. “The most difficult part of a revolution is completing it, Egyptians believe in achieving human rights, social justice and freedom,” said Sukkary. The United States remains distant from Egypt’s current state, but we watch cautiously. 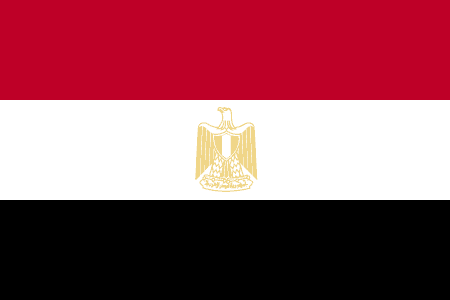 Our government supplies Egypt with $1.3 billion dollars a year to keep U.S. military and Egyptian military interconnected. This also allows our military to get expedited ship service through the Suez Canal. Economically Egypt is depleting. Once one of the richest and thriving countries in the world, it has not maintained sustainability. “Egyptian society is highly polarized,” said Sukkary. Dr. Manuel Roman, a Delta college professor who teaches sociology, criminal justice, and criminology had a sound perspective. “I think Egypt is very important to the United States, and I think the U.S. is important in Egypt they are dependent on our tourism trade and stimulus,” said Roman. The Middle East is not anti-American there are terrorist groups which see the U.S. as a hinderance upon their society, however there has not been sufficient help in getting their countries back to a stable point. “We have to have an ally in the Middle East, and Egypt is a definitive ally to our nation with trade, oil, and strategic location for military,” said Roman. Religion plays a large role in Egypt. With over ninety percent of Egypt being Sunni-Muslim, and about eight percent Orthodox Coptic Christians. Tensions have risen as the Muslim Brotherhood lit Coptic Orthodox Christian churches on fire. “They want a larger rule for Islam so their burning of Christian churches is unfortunate,” said Sukkary. Egyptian rule is in the air, the military has a set plan which they have put into action: Suspension of the Constitution, dissolve parliament, and establish new administration headed by Chief Justice. “As Egypt goes so goes the Arab world,” said Sukkary. UPDATED Sept. 15, 2013: Associate Adjunct Professor Tamir Sukkary’s name was misspelled and he was misquoted in the original version of this article. The Collegian apologizes for the errors.